This fantastic home with an open floor plan is located in Montage, which is one of the rare communities allowing short term rentals. With multiple options to increase the bedroom count this is the perfect home for investment purposes and is in close proximity to the world famous festival / polo grounds, home to Coachella Fest and Stagecoach. 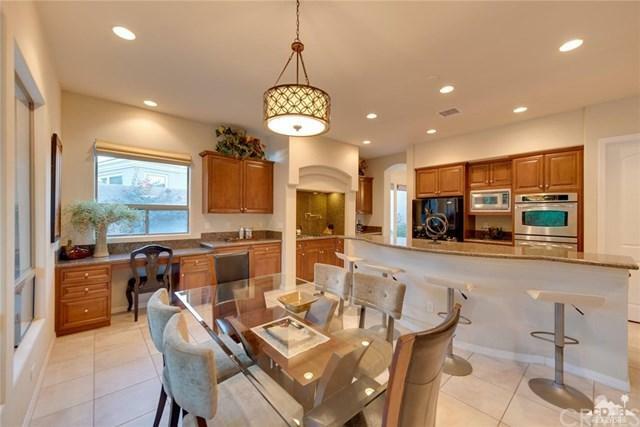 The spacious kitchen has a large island, rich wood cabinetry, granite slab counters, nice appliances and a walk-in pantry. 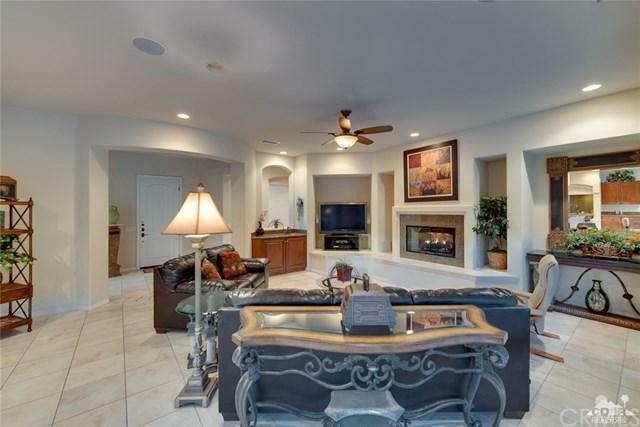 Adjacent to the kitchen is a large great room with fireplace and wet bar. 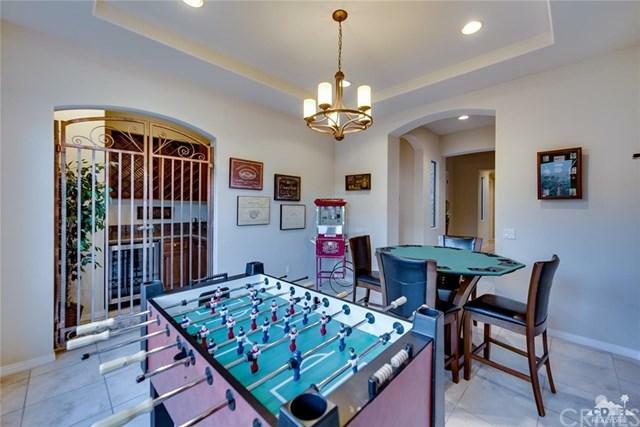 The formal dining room is being utilized as a game room with a walk-in wine room with iron gates. The large master suite with access to the rear yard also has dual sinks, tub, shower and walk-in closet. 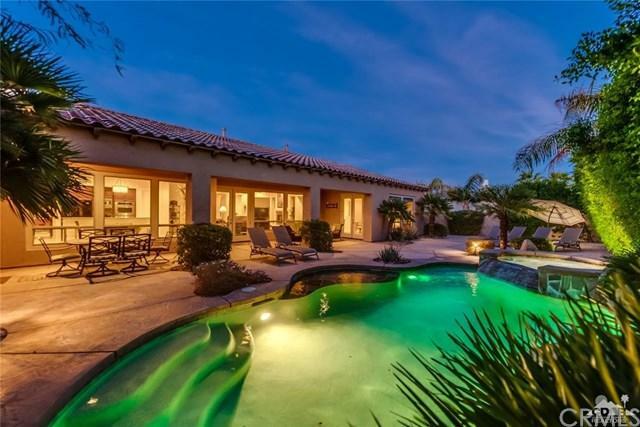 The private rear yard is an outdoor entertainers delight with a sparkling pool and spa, covered patio for dining and a sitting area. Do not miss this rare buyer's opportunity to own in Montage. Sold by Gabriel Franco of Royale Real Estate. Inclusions Some Furnishing Available For Sale Outside Of Escrow.